What is Alexithymia and do You Have it? Have you ever met someone that no matter what is happening everything is “ok”? Now most of us don’t want to burden others with the trivial matters of our day but there are people that have difficulty perceiving and describing emotions of themselves and others. This condition is called alexithymia which is the inability to identify and describe emotions. The core characteristics of alexithymia are marked dysfunction in emotional awareness, social attachment, and interpersonal relating. Those with alexithymia lack a lived understanding of what they experience emotionally. It is important to note that alexithymia is a personality characteristic or construct and not a diagnosis. Alexithymia has two dimensions – a cognitive dimension, where a child or adult struggles to identify, interpret and verbalize feelings (the “logical” part of our emotional experience) and an affective dimension, where difficulties arise in reacting, expressing, feeling and imagining (the “emotional” part of our emotional experience). It is a common misconception that children with autism cannot understand emotion and cannot be empathetic towards others. While children and adults with autism may not show emotion the same way most people would, they still can understand emotion- just in a different way. According to researchers at the University of East London and King’s College London, many people with autism express empathy, sometimes even an excessive amount of it. However, there was a segment that had difficulty understanding emotion. This observation led researchers to examine the overlap between alexithymia and autism. Do you think you may have alexithymia? Click the link below to take a short quiz to measure your alexithymia score. Is Hyperbaric Oxygen Treatment Right For Your Child? What is Hyperbaric Oxygen Treatment? Hyperbaric Oxygen Treatment (HBOT) is a safe, non-invasive way to get more oxygen into the body at the cellular level by using pressurized air chambers and has been used since 2004 for some patients diagnosed with autism. How does this help a child with autism? When a typical person focuses on a task or speaking, the brain is doing more work and there is an increase in blood flow to the brain. This increase in the blood flow to the brain supplies the brain with more oxygen and glucose, giving the cells their needed energy to perform their task. In children with autism, several studies have demonstrated that there is diminished blood flow in the brain to start with and when attempting to perform a task the blood flow does not increase resulting in an increased need for oxygen and glucose. What will HBOT do for my child? It removes toxins, such as heavy metals from the body. It builds new capillaries in the brain. Filtered ambient air is used with an additional oxygen concentrator to safely administer oxygen to the body. Allowing more oxygen to penetrate otherwise oxygen deficient areas enables the body to carry out oxygen dependent processes by dissolving oxygen directly into the blood, plasma and cerebrospinal fluids. Is this therapy right for my child? Please keep in mind that some of these therapies require a face mask or hood and your child may not be comfortable with this equipment. Some doctors have units that are wired for music or watching videos which may make it more enjoyable for your child. Although in chambers providing 100% oxygen, electronics of any kind are not allowed due to safety issues. Children are picky eaters in general but children with autism can be REALLY picky eaters. Children with autism tend to have limited diets, choosing foods with only certain colors, textures, or tastes. Choosing only bland food or having very little variety can severely limit a child’s nutrient intake. 1. Supplements: Researchers have found that supplements and special diets for children with autism commonly result in excessive amounts of some nutrients and deficiencies in others. Parents will generally try and supplement a poor diet by giving their children vitamins. One researcher found many of the children were consuming high levels of vitamin A, folic acid and zinc while not getting enough calcium and vitamin D. Low calcium intake may contribute to the unusually high rate of bone fractures seen in children with autism. 2. 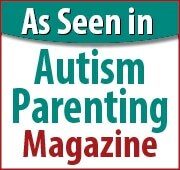 Essential Fats: Deficiencies in essential fats are common in children with autism. Some children with autism have an enzymatic defect that removes essential fats from brain cell membranes more quickly than it should. This results in a greater need for essential fats than the average child. Supplementing with Eicosapentaenoic Acid, one of several omega-3 fatty acids (EPA) is helpful and it may also improve behavior and mood. 3. Metabolic Deficiencies: Three metabolic impairments are frequently associated with autism; methylation, transulfuration, and mitochondrial function. Metabolic deficiencies may increase susceptibility to oxidative stress and impair immune function, resulting in higher rates of allergies, GI problems, and behavioral patterns associated with autism. 4. Allergies: Removing certain foods from the diet may produce relief for many children with autism. The gluten-free, casein-free (GFCF) diet is very common and many families have found relief and improvement with this diet. If your child cannot effectively breakdown certain proteins it can create inflammation in the gut resulting in GI issues. Elimination testing for certain foods can be done at home and is less invasive than allergy testing. Eliminate the particular food/foods for 2-4 weeks and then slowly introduce one new food at a time every few days. Keep a journal throughout the elimination and reintroduction periods to determine which foods are tolerated and note any symptoms. 5. Sleep: Who knew sleep can affect your body’s metabolism? Sleep is commonly disrupted in children with autism, yet it is critical as this is the time the body performs reparative functions, detoxification and metabolic processes. A healthy diet is essential for all children, but even more so for children with autism due to GI issues and malabsorption issues. It is critical for your child to receive the key nutrients needed for growth and development. The ideal diet to support metabolic pathways and optimum development would be rich in vitamin B12 and antioxidants. This requires consumption of eggs, meats, and highly colored fruits and vegetables. The best way to improve your child’s diet is to work with a nutritionist who can help you include a broader variety of foods in the child’s diet. Leave a comment below and let us know what works for your picky eater and what you have done to improve your child’s nutrition. We would love to hear from you.